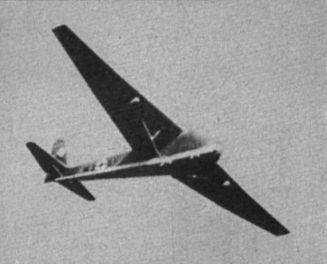 An early Me 321A, possibly one of the prototypes (note the very small national insignia and lack of unit markings, also the single cockpit, although the first 100 production aircraft also had single cockpits). 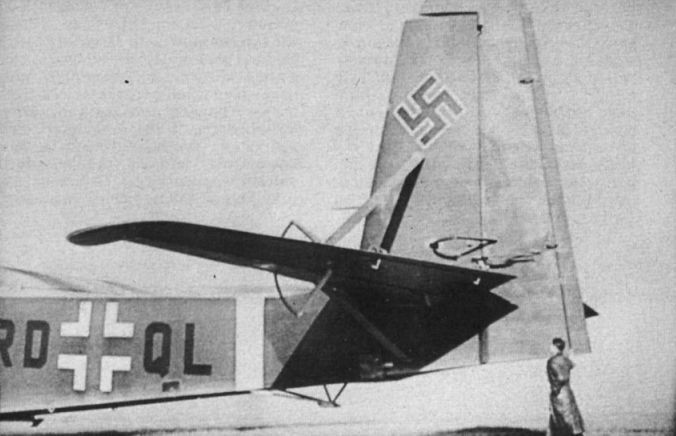 An Me 521A, with rockets at full chat, about to unstick at Leipheim. 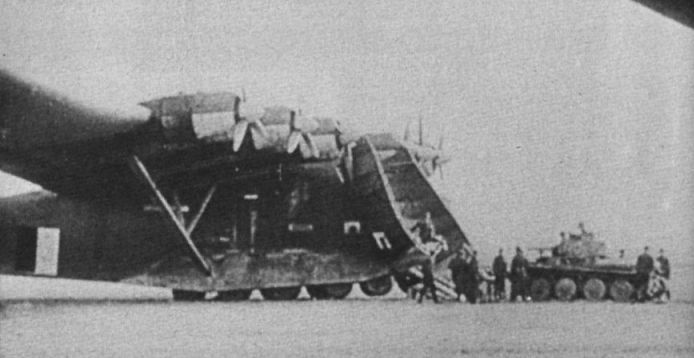 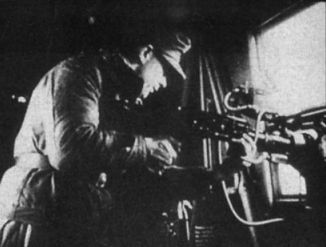 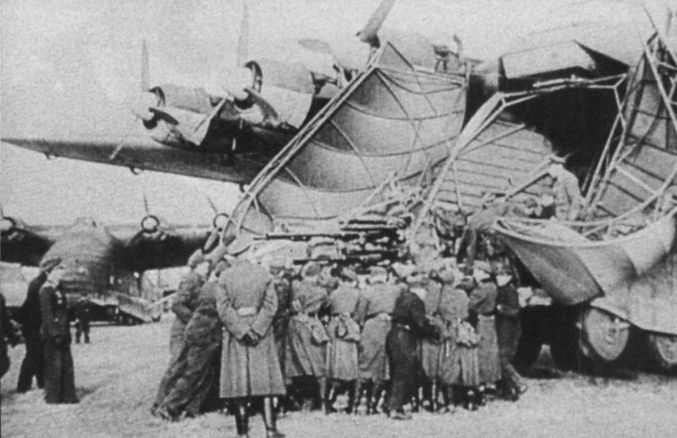 Note the height of the cockpit from the ground, about 60ft, or two millibars. 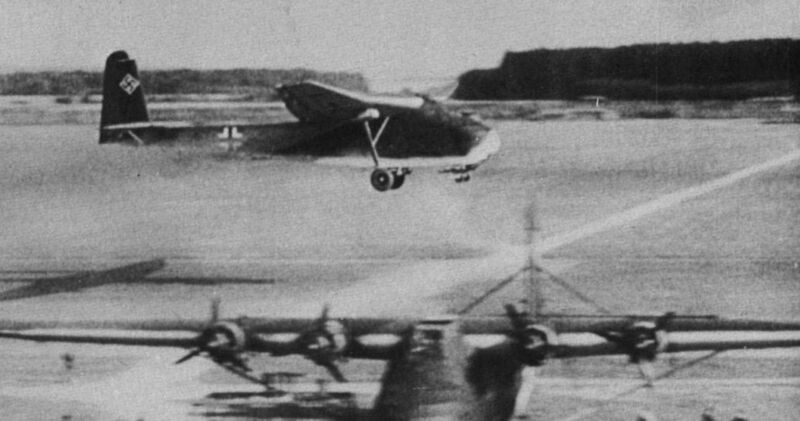 The sequence of three photographs taken at Leipheim, show a triple tow take-off. 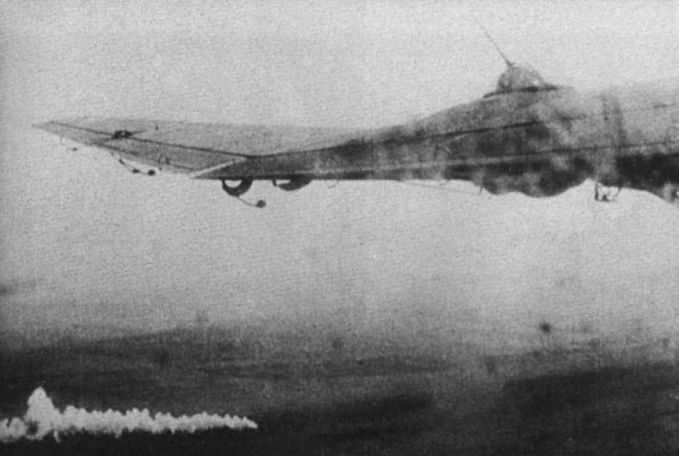 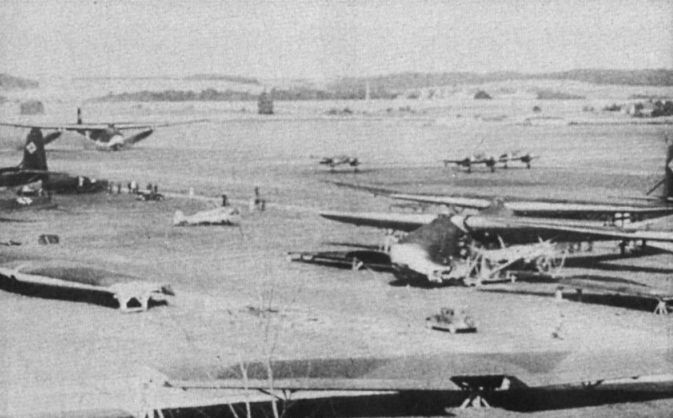 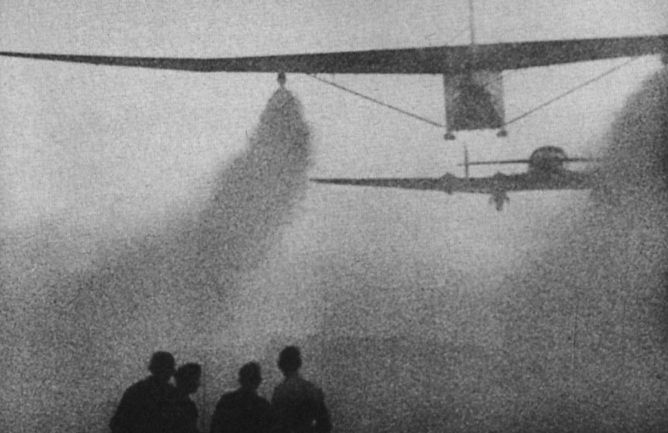 In this photograph the Me 321A is airborne with rocket motors still operating (note the prototype Me 323C with four engines in the foreground). W3+SF, an Me 321A, over Leipheim. 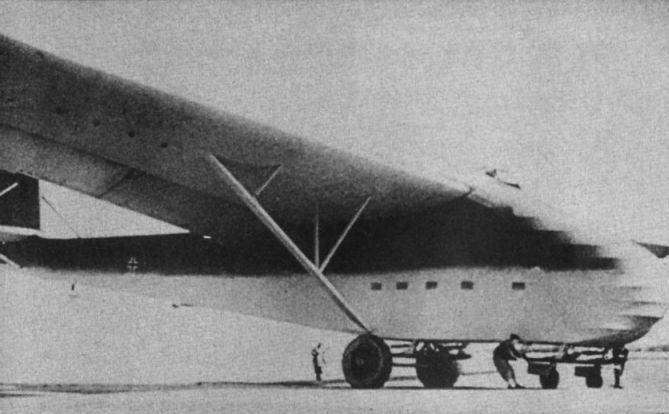 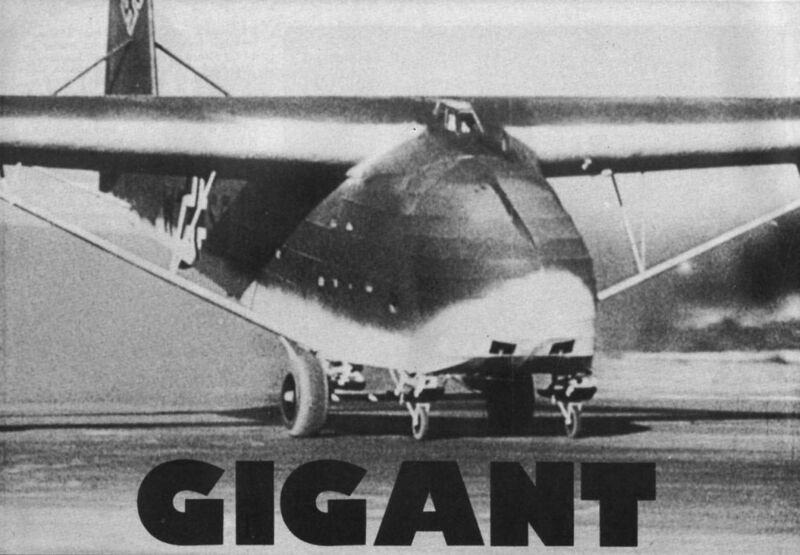 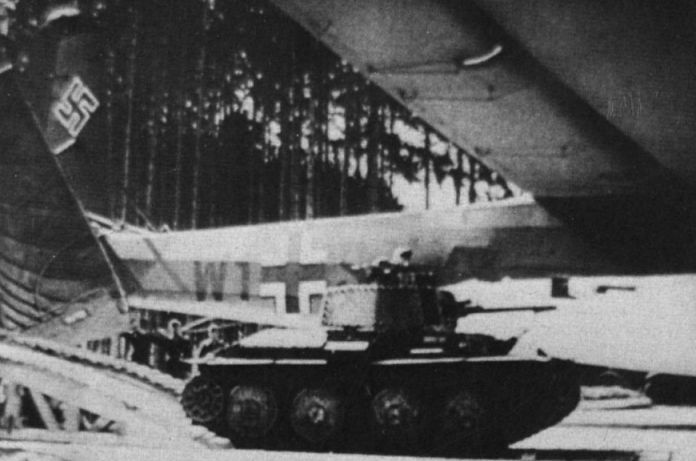 Two R Gerate units under the wing of an Me 321A; note the parachutes packed on the front of the units. 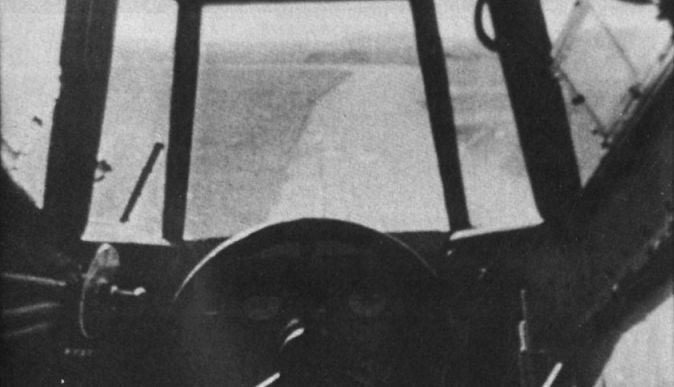 The cockpit of the Me 321A with trim wheels and large control wheel visible.